Night of Jubilee is an annual spring event that brings faith communities together for a time of prayer and hopeful worship as we reflect on God’s justice and redemption. This year’s celebration is on March 30th at 6:30 p.m. Participants will learn more about local organizations combatting human trafficking and engage in in various creative outlets as we pray for survivors and partners. She Has A Name is a strong community of abolitionists that exists to fight human trafficking through education, collaboration, and survivor care. We look forward to this celebration each year because we acknowledge our need to pause and celebrate how God is moving in our city. Join us at Veritas Community Church (345 E 2nd Ave Columbus, OH 43201) on March 30th from 6:30 – 8:00 p.m. whether you consider yourself an abolitionist or just want to learn more about the cause. This event is free and open to the public, we hope to see you there! We often see headlines that claim a rise in human trafficking around major sporting events. Although this may be true, it is important to remember that human trafficking happens every day and we need to be more aware. 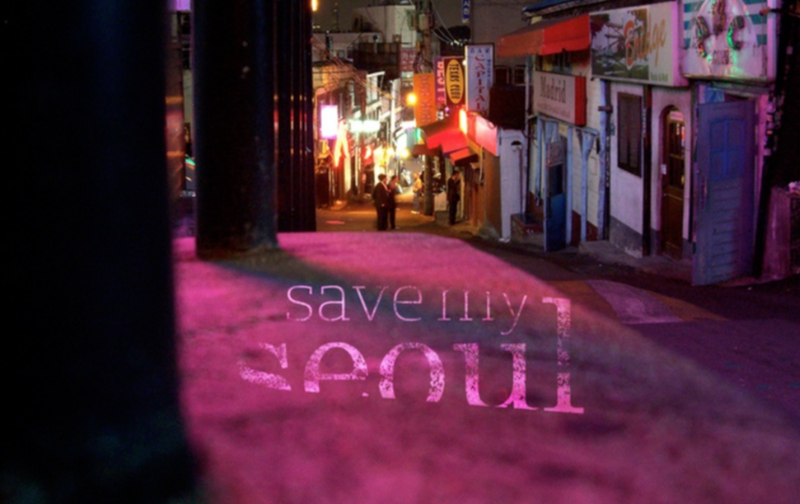 The S.O.A.P Project (Save Our Adolescents from Prostitution) was established in 2010 in response to the need for awareness and prevention of human trafficking. The organization’s work includes labeling bars of soap with the Human Trafficking Hotline and providing educational materials and local missing children information to surrounding hotels. — Polaris Project says of S.O.A.P. ﻿Currently, S.O.A.P outreaches in over 17 states and 30 cities across the nation, and one of those cities includes Columbus, Ohio. For the past eight years, the organization has partnered with Columbus volunteers in an outreach called S.O.A.P Up the Arnold. The Arnold Sports Festival is the world’s largest annual multi-sport festival, which brings an estimated 200,000 fans to watch 22,000 athletes within a four-day span located in downtown. This year’s festival is from February 28th to March 3rd. It will be crucial to spread awareness and join the fight against human trafficking while hosting thousands of visitors. S.O.A.P Up the Arnold plans to partner with volunteers by labeling and delivering soaps to 150 Columbus hotels in one day. If you are interested in volunteering, mark your calendars for Saturday February 16th at 9:30 a.m. at Martin de Porres (2330 Airport Drive Columbus, Ohio). Every day S.O.A.P. continues to fight human trafficking and find missing children around the country. Not only do they outreach to large events, they partner alongside of survivor retreats, support groups, Bible studies and businesses. There are many ways to be involved: volunteering at outreaches, donating soaps or adopting a motel– any type of partnership is valuable. Human trafficking is happening every day and it is essential that we become more aware and report anything suspicious to the National Human Trafficking Hotline Resource Center at 1-888-373-7888. We have created this list in hopes that it offers you insight on what other anti-human trafficking organizations are doing throughout the country and across the world. Where can I find traffick-free goods? The best place to start is Google, along with our Ethical Shopping Guide. While each industry has it's own certification standards, terms such as Fair Trade Certified, Global Organic Textile Standard, and a general transparency in the production and distribution of goods are positive indicators. Ethical goods don't exploit labor, animals, or the environment at any point in the supply chain. We have too many favorites to list all of them here, but if you'd like a few great vendors to get you started, check out great companies we follow on Instagram, Facebook, and Twitter. Here's a great article written by one of our volunteers about her realization that her shopping choices were contributing to trafficking, and how she went about changing those habits. It's a great place to start on your journey to living consciously. The Thread by People Tree: Defining "fair trade fashion" "sustainable fashion" and "ethical fashion"
We are helpless in the face of such a complex issue without first equipping ourselves with the information necessary to understand context. After collaborating with staff and volunteers, we were able to create a great list of resources to give to our SHAN community. If you have any suggestions, please let us know. We love to learn along side with you!